Vampires and aliens. What more do you need? How about some great romance, likable characters, and wonderful descriptions? 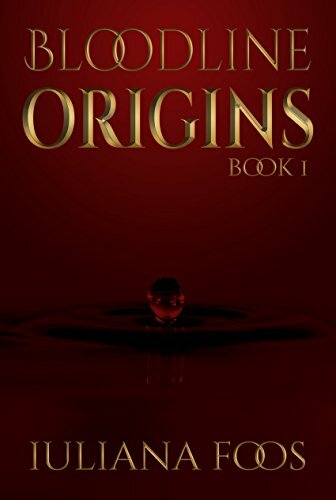 You get all that in Bloodline Origins by Iuliana Foos. I received this book for free in exchange for an honest review, and I’m more than happy to give it. From the Cover: Determined to turn her fantasy into reality, Ana starts her journey to become a vampire. Along the way, she learns the truth about their secret society, discovers her prestigious bloodline, and falls in love. What I Loved: The book starts quickly, and we learn right away that Ana wants to be a vampire. I was a little thrown by this at first because it felt too far-fetched, but the reasoning behind it is explained later on in the story. There’s a lot of great description that really makes the setting for this book. As I read, I never forgot where the characters were at or what they were supposed to be doing. Ana, the main female character, is a very realistic and relatable character. The reader easily comes to know her past and her uncertainties, and she changes as the story progresses. Andree, the main male character is strong and very appealing. He’s a bit of a bad boy simply because he’s a vampire and he’s royalty, but he’s not a jerk. He’s a very romantic character. I love the romance between the two main characters. It’s swift, but since the story give a “fated mate” vibe, it really works. There are some really great twists, but I won’t tell you what they are! It would spoil things too much. What I Didn’t Love So Much: Unfortunately, the book really needs some more editing. There are a lot of misplaced commas and a few missing words. The chapter breaks feel random, and even though there are scene breaks for changes of perspective, I think it could have been done better. For instance, sometimes the story advances by two months, and it would be nice to see that as the start of a new chapter, perhaps even with the time frame noted. 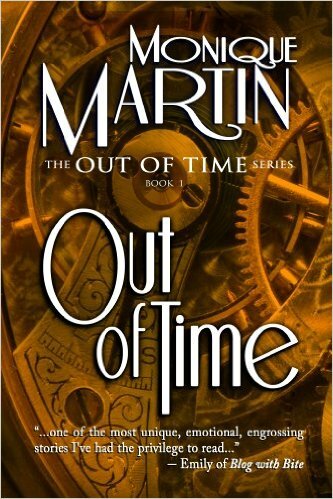 Rating and Recommendation: Since I pretty much couldn’t put this book down, I have to give it five stars! What little fixes that are needed don’t detract from the story, and I can’t wait to read the next one. If you love romance and fantasy, and you don’t mind a little bit of blood, then this is the book for you. Interested in having your book reviewed? Contact me. Don’t forget to sign up for my mailing list for news and giveaways!